Last night I was watching The Flash and heard Barry Allen say to his foster-father something to the effect of, “You’ve always said that everything happens for a purpose, and I’m beginning to believe it.” I’m not convinced (though, admittedly, I have no connection to the Speed Force, so what do I know?). Let me see if I can demythologize the notion. Back when I was an Evangelical Christian, I noticed something suspicious about all the big promises about answered prayer and discerning the will of God, plus the teaching that Christians could rest assured that we would lead a charmed life. We could be confidant that God would take care of us. Naturally, it didn’t take very long to realize these promises were false, because equivocal, though we discovered that the hard way. What I mean is that no one had told us about the fine print. Did God always answer prayer? “Well, er, yes, he does, but, heh-heh, sometimes (in fact most of the time!) the answer is a big fat No.” Oh! So that’s the way it works! Bait and switch, no? But no Christian can dismiss the whole thing as a con game and still qualify as a Christian. His fellow believers, suspecting this, would assure him it wasn’t an option. If you’re a Christian, you have to pray; it’s part of the job description. (And this pops another theological balloon: salvation by grace, since prayer turns out to be a non-negotiable practice of piety.) So what do you do? You keep on praying and you utilize the magic word “faith” as permission to ignore the clanging bell of cognitive dissonance. That is, you undertake to ask God for this or that blessing, for healing, for guidance, etc. You can find some scripture verse that assures you God wants this for you, so you can approach him with confidence! Believe and you shall receive! B…u…t… you don’t. It doesn’t happen. And there’s another cliché designed for that disappointment: “Who has known the mind of the Lord?” How foolish you were to think you, a puny mortal, could know the will of the Creator God! So you reproach yourself in proper Christian humility. But you know what’s going to happen the next time you need something from God. You will quickly forget the human incapacity for reading the mind of God, and you will be back on your pious knees, asking God for some boon. And round and round you go. There was a clue that should have tipped us off, but we ignored it, were implicitly taught to ignore it. We were told to add to any request the proviso, “if it be Thy will.” Aha! If! In other words, God must already have had a plan for you, and you, like Jesus in the Garden of Gethsemane, were willing to acquiesce in it if necessary. Why kick against the goads? But if you thought about it long enough to put two and two together, you saw the irony: surely God must know what he’s doing; he needs you to tell him what to do? If God decided to set aside his plan and answer your prayer instead, it would become like “The Monkey’s Paw,” backfiring in ways you hadn’t foreseen. You might as well stop telling God his business. This is why Meister Eckhart said a praying Christian should say no more than “Thy will be done.” What is such a prayer designed to effect? You’re no longer asking God to grant a request. So what would you be doing when you prayed such a prayer? You would of course be trying to sensitize yourself to the leading of the Spirit, to reorient yourself to be willing to accept what comes to you from the hand of God. And that, friends, is Stoicism. 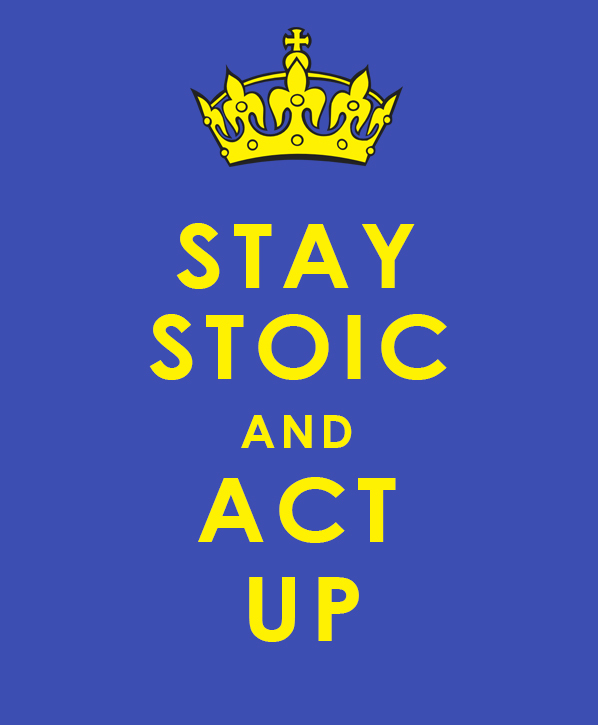 Stoicism is an ancient Hellenistic philosophy founded by Xeno of Citium in the third century B.C.E. 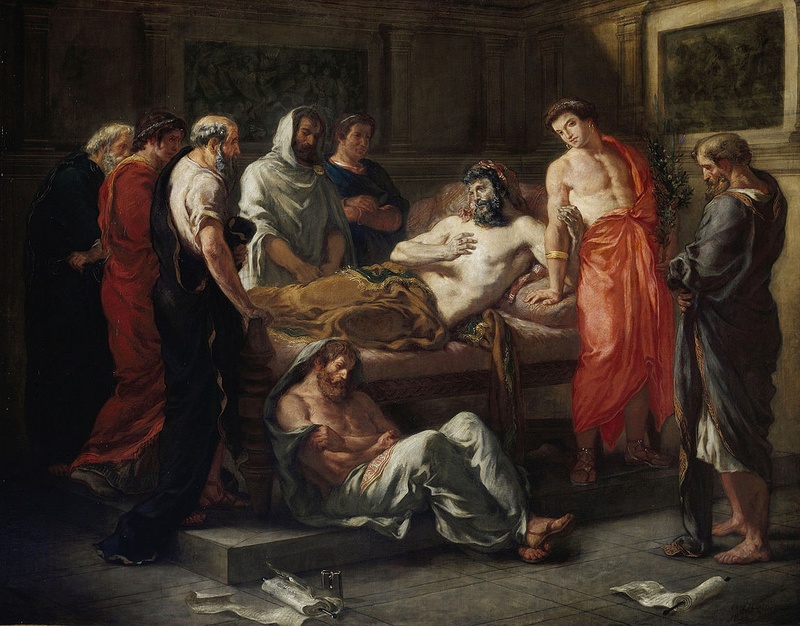 It was a mutation from Cynicism and upheld the Cynic tenet of “living in accord with Nature by reason.” Stoics were pantheists and believed that the divine Logos permeates all things (kind of like the Force) and controls all things. The only good thing is virtue, and everything that happens to you is, and should be viewed as, a kind of chisel to chip away at your character. You are entitled to enjoy the pleasures of life; just maintain a degree of inner detachment to possessions, hobbies, relationships. That way, you will not feel devastated when you lose these things, as you sooner or later will. Ultimately, these are adiaphora, indifferent things. Take ‘em or leave ‘em. Because ultimately, virtue is the only real good. Tragedy strikes? Hey, go ahead and cry, but buck up! You can choose how you will react to it. You can decide that this unpleasant event will nonetheless be an opportunity for character growth if you accept it as such. “Why kick against the goads?” was a Stoic proverb. How foolish to curse your luck; do you know better than God? He sent it to you, smart guy. Acquiesce; you’ll be glad you did. Today’s idea that “everything happens for a purpose” is more vague, kind of slippery. It does not necessary entail theism. It might fit better with Pantheism, since there seems to be no thought of a personal Controller weaving a tapestry, every thread in the right place, with a definite finished product in mind. No God plotting out everything as a vast novel. It sounds more like the impersonal Dominoes game of Karma. But even this is not demythologized enough for me. I think that the idea of events being somehow aimed at you (“Special delivery for Mr. Price!”), a form of the doctrine of predestination, is the result of our confusing two very different things. We look back at what has happened to us and we know we can’t change the past. We are stuck with it. But we seem to be inferring that it couldn’t have been avoided beforehand even if we had known what was on the way. This assumption becomes theologized as God’s word (his promise or command) which shall not and cannot return to him void, i.e., having failed in its purpose. 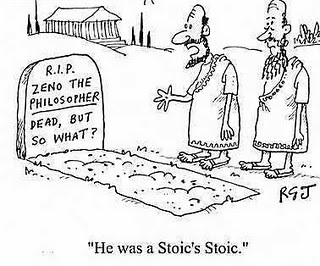 I think Stoicism shares this confusion. 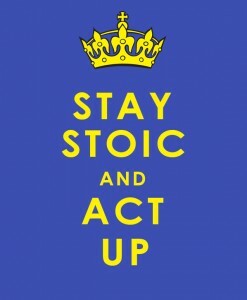 But, fortunately, the value of Stoicism does not require it.